Yesterday I have planned to meet my friend in SM, but the weather is cold and seemed to become rainy so I need to cancel it. I thought to plant the lucky charm plants that time. Because my neighbors gave me 4 different kinds of lucky charms plants. And then I was texting to my husband cellphone to buy the plastic pot. The three lucky charms will put it in our simple abode and the other one is before entering. 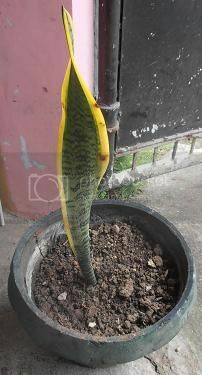 The lucky charms plants is as follows; lucky bamboo, snake plant or mother-in-law’s tongue, ZZ plant or Zamioculcas Zamiifolia. These make wonderful gift plants, and many people believe that they bring good luck and enhance the energy of our surroundings. A mother-in-law’s tongue is best grown as a houseplant, but can be grown in-ground outdoors in regions that receive very little rain fall. Sanseveria trifoliate is not picky about the location it is placed in and will grow well in direct sun, partial sun and even in full shade. Place the plant away from air conditioning vents and away from cold drafts in the winter time, the plant won’t tolerate the cold air. If possible, place the plant outdoors in the spring on a covered porch and bring the plant back indoors in the fall. 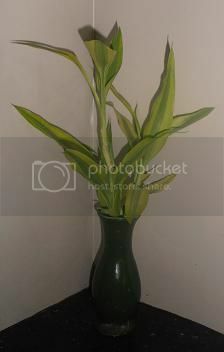 Lucky bamboo or Dracaena sanderiana and related species are popular houseplants, with numerous cultivars sold. It can survive in many indoor conditions, but indirect lighting is best as direct sunlight can cause the leaves to turn yellow and burn. The ZZ plant is one that you can take with you wherever you live. It doesn’t require a lot of space, and it can take neglect extremely well. 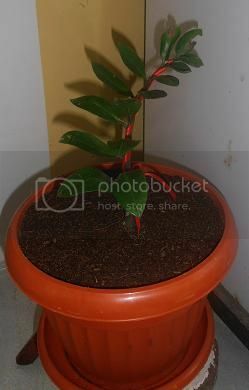 The ZZ plant can live without having enough water, and doesn’t require a specific type of lighting in order to grow. It is a slow growing plant, but introducing it to more light can surely speed up the process. This plant is great for those die hard black thumbs. I also put the red ribbon to expose the beauty of this plant. I don’t know what is the name of this plant below but according to my neighbor this is a kind of lucky plants. I also put the red ribbon to make it blooming and attractive.